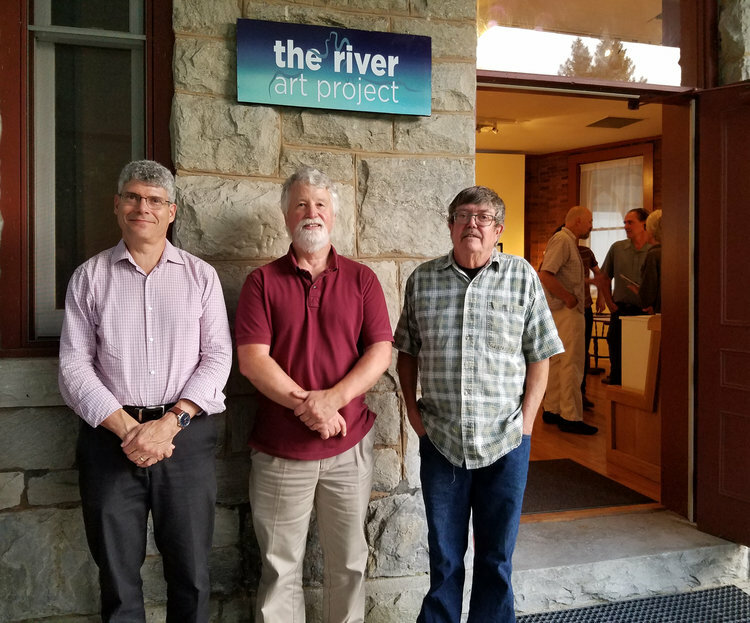 Stockbridge — Through Sunday, Sept. 2, for the second summer in a row, the owners of the Schantz Galleries have hosted the River Art Project. 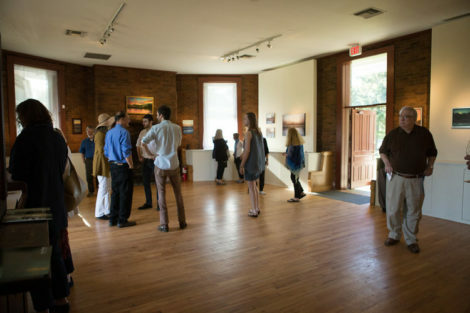 Situated in the antique train station, the summer-long event combines a vibrant yet traditional gallery space featuring paintings of the outdoors by local artists, environmental literature on display, and a live panel of speakers featuring prominent movers and shakers in the Housatonic River and Hudson River cleanup efforts. 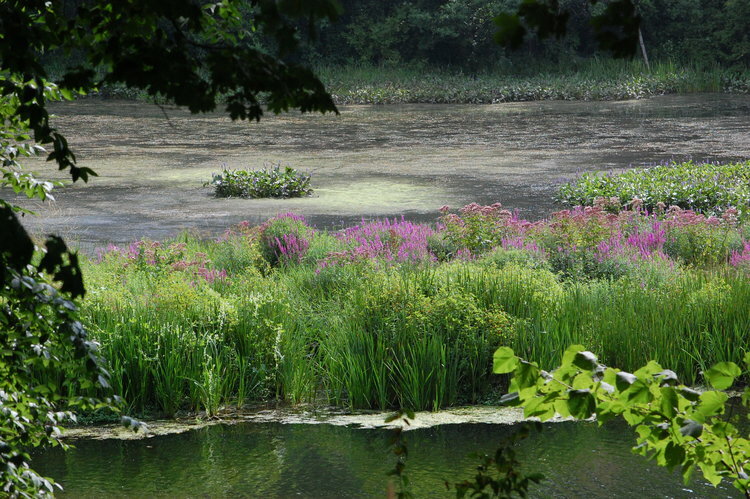 The project unites various factions of the Berkshires and nearby communities with the goal of protecting our natural waterways through data collection, education and direct challenges posed to federal, state, and local organizations and lawmakers. Visitors to the gallery, which serves as a seasonal extension of the Schantz Galleries, will encounter the train station-turned-arts-space adorned with the paintings of six local landscape artists: Bart Elsbach, Michael Filmus, Harriette Joffe, Scott Prior, Jim Schantz and Gabrielle Senza. Most of the paintings on display feature local rivers, and a significant portion of the profits from painting sales go directly toward funding the Housatonic Valley Association and Riverkeeper, the latter of which was founded in 1966 to aid the cleanup of the Hudson River but now has offices across the globe. Last summer’s River Art Project involved three lectures over the course of the season. This year, Schantz decided to combine the speakers into a single-evening event featuring three speakers and a moderator on the evening of Wednesday, Aug. 15. Each speaker brought a unique viewpoint to the event, which felt at times like an intimate college lecture and, at other times, like a vigorous town meeting. Gallay brought great tidings with him—the New York chapter of Riverkeeper was recently instrumental in securing a $2.9 billion grant for the state of New York to further the cleanup of contaminants from the Hudson River and other waterways in the New York City area. Gallay expressed the belief that the water surrounding the metropolis is clean enough for the there to be a beach in Manhattan. Joining the dais was Lee native Tim Gray. Rounding out the forum was Dennis Regan, another champion of local river cleanup. The panel was moderated by Ruth Dinerman, a Berkshires-based environmentalist. “For almost two decades, Ruth Dinerman has been working to improve the quality of life in Berkshire County. She has worked on numerous environmental and river issues, was briefly the executive director of the Housatonic River Restoration,” said Schantz. “Ruth has served on the boards of the Lee Land Trust and Laurel Hill Association. A stylishly dressed audience applauded as Dinerman was handed the microphone. Dinermen presented the audience with a brief professional biography of each of the panelists before asking each of them to present a five-minute introduction to their recent work. Gallay began. 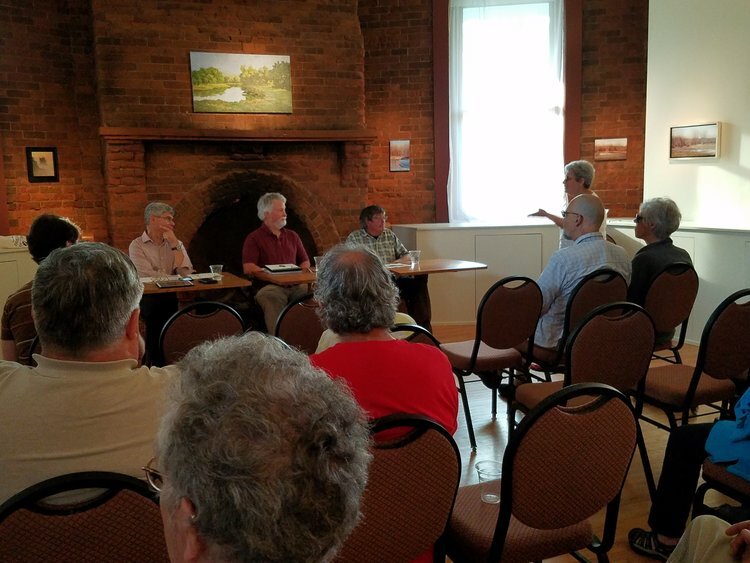 Gallay described Riverkeeper’s recent endeavor of taking 5,000 water-quality samples along the Hudson and showing them to representatives of the state of New York. This data aided Riverkeeper’s involvement in New York state receiving a $2.9 billion cleanup grant, and that money is already going to work. Water quality has started improving and infrastructural improvements are being made. The latter involves efforts to remove antiquated dams that were constructed before we had a power grid and now serve only to block the natural flow of water and the wildlife it houses. The main thrust of his speech was that local cleanup groups can slay giants—Riverkeeper has helped hold General Electric, Dupont and other major corporations accountable when it comes to cleaning up their own messes. Dennis Regan then took the microphone and immediately echoed some of Gallay’s points. The Housatonic Valley Association’s main goals are to collect data, educate locals and visitors to the area, and to create public awareness of contaminated waterways and how to best clean them up. Regan emphasized that, when people know about the polluted state of the Housatonic, they tend to attend town meetings and to spread their knowledge and concerns to people they know. The HVA has been finding success through these methods. It receives calls from lawyers, realtors and land developers asking about the baseline condition of various properties and its legal ramifications. 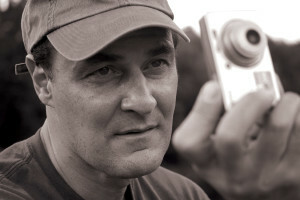 Gray then took centerstage and outlined the struggles that the Housatonic River Initiative has faced while trying to force GE to clean PCBs from certain stretches of the Housatonic River, as well as land polluted by toxins in the river that runs through the heart of Pittsfield, since 1992 when he founded the organization. Despite a 2000 decree forcing GE to clean up contaminated water and soil in and around Pittsfield, the company has dragged its feet at every step. Gray also emphasized that the river is not the only problem when it comes to toxic contaminants in the area. Due to GE’s chemical dumping practices of the previous decades, the soil and air in many Pittsfield homes also contain dangerous toxins. A permit issued by the EPA in 2014 decreed that GE must put $600 million toward further cleanup. A loophole in this permit, however, allows GE to only do one third of the necessary work, which, Gray points out, means a perpetually polluted river. This is why the HRI is currently in court fighting the decision and pushing for a more comprehensive cleanup program by the massive corporation that was once headquartered in Pittsfield but is now based in Boston. After Gray’s conclusion, Dinerman opened the floor to questions. Hands shot up. The following hour was energetic and engaging, touching on issues ranging from cleanup and health to law and public opinion. Gallay, Regan and Gray all shared stories of success as well as stories of defeat and corporate scandal. The primary takeaway from the back-and-forth came down to on emphasis on community involvement, the collection of data, the targeted and unrelenting application of legal pressure, and finally the drive to never give up even in the face of transnational corporations and governmental agencies pushing back. Fundraising for cleanup is really important nowadays. I’m currently writing a paper on ecology subject for https://edubirdie.com/speech-writing-service and I’m gonna tell about your option there.